Dr. King has stated that "Huna is the very ancient wisdom of Polynesia, said by some to have been formulated by wise ones of Mu who were careful observers of God, Man and Nature. The same wisdom has thus been found in many times and places, including the Gospel of Jesus of Nazareth". It is also found in the Psalms. Dr. King stated that Huna is not exclusively Hawaiian, but a universal philosophy of consciousness. 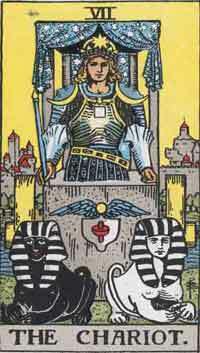 In looking at another "book", the Tarot, which is an Egyptian word meaning "royal path" we find the Major Arcana has this wisdom in picture form. 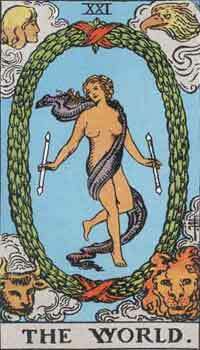 Its use was to allow one to tap into the universal "collective consciousness" by meditating on a particular card. 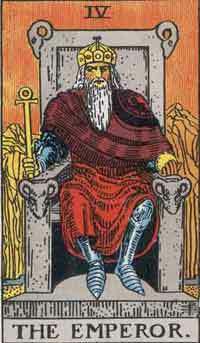 There are 22 Major cards, or Major Arcana, (greater secrets), or trump cards, that can be interpreted as represent the path leading from being a student of Huna to the attainment of being a Master Shaman. This interpretation is possible because the world is what you think it is, and there is always another way to do (or use) anything. 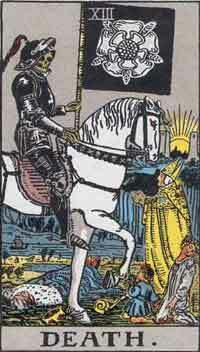 Even Arthur Edward Waite, author of The Pictorial Key to the Tarot, admitted that most of the Major Arcana are open to many meanings. In a brief history of the Tarot, the physical cards first showed up in Italy, between 1430 and 1450 in northern Italy called tarocchni. Prior to that date, legend and lore and oral tradition states that the cards were developed by the Egyptian god Thoth, who wrote down these universal concepts on golden plates. In this article we will focus on the Huna techniques revealed in the Major Arcana of the Tarot. Details on how to use the techniques can be found in the books of Dr. King. 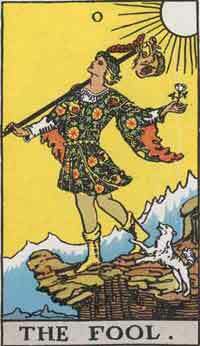 Card 0 - The Fool. Technique: Hana Wiwo'ole - Adventuring. Here the Fool represents the Haumana, the student, beginning the Adventurer's journey to become a Kupua, a Hawaiian-style shaman. 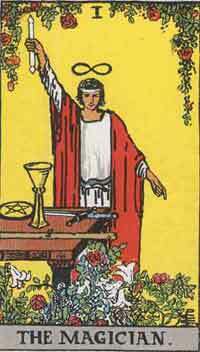 Card 1 - The Magician. The Fool is playing the role of the Kupua, learning how to use the tools of breath, words, imagination and action to make that which is invisible become visible. 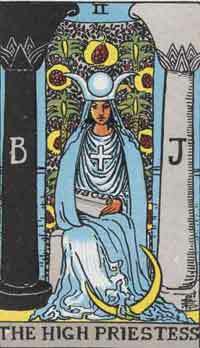 Card 2 - The High Priestess. The High Priestess represents Lono, the conscious mind, whose role is to use knowledge and imagination to learn the secrets of the masculine energy of Hu and the feminine energy of Na. 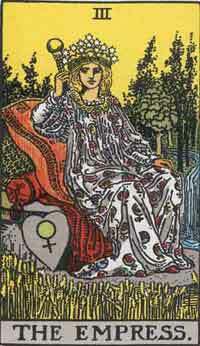 Card 3 - The Empress. Technique: Pikopiko - The Connecting Breath. The Empress represents Ku, the body mind, whose role is to connect the Haumana with the visible and invisible worlds. Pikopiko, a way of using directed breathing to connect anything to anything, is a major technique for doing this. 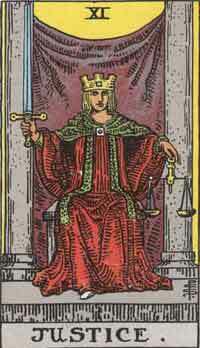 Card 4 - The Emperor. Technique: Hua - Creative Meditation. The Emperor represents Kane, the Higher Self, whose role is to give inspiration and energy to Lono and Ku. These benefits can be actively accessed with sensory imagination that combines memory and fantasy in the form of symbols. 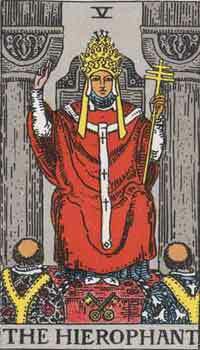 Card 5 - The Hierophant. The Hierophant represents Kanaloa, the Core Self, whose role is to integrate Kane, Ku and Lono into one confident and peaceful being. The Stillpoint technique is a way of getting centered in one's core of being, from which point consciousness can be focused in any direction for any purpose. 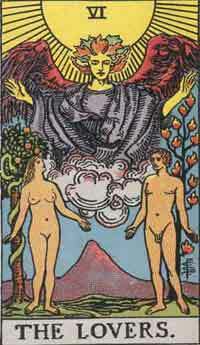 Card 6 - The Lovers. The imagery represents Ku and Lono learning from the Aumakua how to practice aloha through the art of blessing. Technique: Kimana - Energy Work. Here we have the Haumana Kupua directing subtle energy, represented by the sphinx polarities, for practical healing and manifesting. The Haumana Kupua, in the form of a woman, uses her mana to help others. 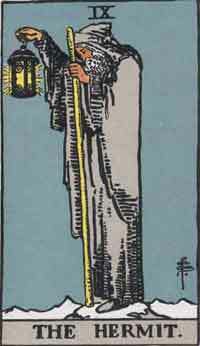 Card 9 - The Hermit. The Haumana Kupua uses his lamp of knowledge to teach and enlighten others. 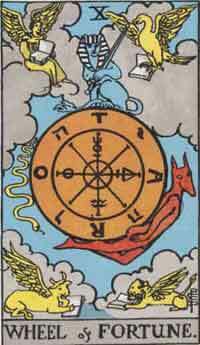 Card 10 - Wheel of Fortune. Another name for this card was "Fate." 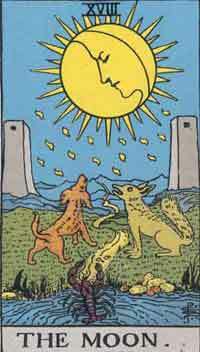 It refers to divination and casting, showing the changes or ups and downs of life and how information, shown by the four figures in the corners of the card holding books, is accessed. The word kaulike can be translated as "justice" in the sense of balancing things out, but it also refers to a specific technique for doing that which is part of the Kahi Loa massage system. In that technique, various parts of the body are touched in sequence, followed by a downsweep of the the aura in order to equalize or balance the energy of the whole body. 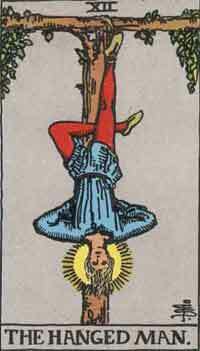 Card 12 - The Hanged Man. Technique: Ho'alu - Hang Loose. Calling this "The Hanged Man" gives the impression that he is being punished, but that is an error. He has been suspended, yes, but this is an ancient technique for attaining an altered state of consciousness, as evidenced by the halo around his head. The Hawaiian word for "hang down" or "hang loose," ho'alu, can refers to this deeper esoteric technique or simply be an admonition to "relax, let things go, be at peace." Technique: 'Imi i ka 'uhane - Soul Retrieval. 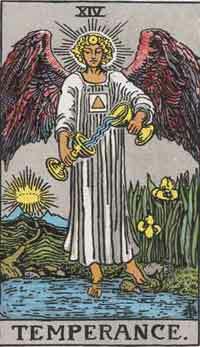 This card refers to the technique of Soul retrieval. Here we see the Haumana Kupua in his spirit form(the skeleton) traveling or journeying to a non local reality to retrieve the fragmented pieces of a soul and bring them back to unite them with the whole person. The square and triangle worn by the figure shows the number four for the square (referring to the four levels of reality), and the number three for the triangle (referring to the three selves), totaling seven (referring to the seven elements of Huna). 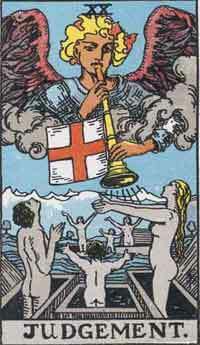 The figure is balancing (one foot on land, the other on water, relating to Ao, the outer world, and Po, the inner world) the seven elements going from one cup to another. The figure is mixing these elements at the level of the navel center, or Piko. This refers to the Huna technique of working with the elements. As Dr. King states, "There are 7 elements to work with in Hawaiian Shamanism. These can be worked with telepathically, symbolically, or, most effectively, with the process known as "Pace & Lead" or "Grok & Guide." Attunement with the elements can be used to enhance personal power or personal power may be used to direct and influence the elements. Names and symbols for the elements are used to imagine them at the navel (piko) to evoke them, change imagery to increase or lessen their symbolic or actual effect, and areas that can be assisted with elemental healing." 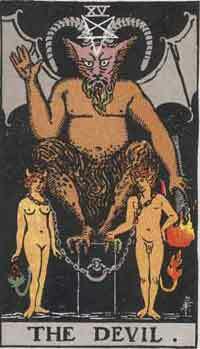 Card 15 - The Devil. Technique: Lapa'au - Stress Relief. This technique includes many forms of healing, from the use of herbs and medicine to various forms of massage, all with the intention of energizing the body and ridding it of illness. The generic word in Hawaiian for all types of illness is ma'i, meaning a state of high stress. 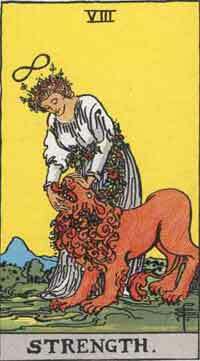 The main figure in this card represents illness with the Ku and Lono chained to it by stress, implying the need for release. 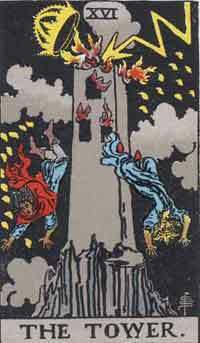 Card 16 - The Tower. Technique: Ho'oponopono/Kupono - Conflict Resolution/Making Corrections. Another title for this card was arbitration, or resolving conflict. Lightning, usually associated with thunder, is one of the most ancient Hawaiian symbols of mana, spiritual power. Among the old gods, it was a sign of Kane the Creator, Lono of the Heavens, and Pele, the volcano goddess. The card refers to people who did not speak the same language, and had conflicts. Then the mana of Spirit had to be introduced to break up rigid patterns of behavior, to encourage forgiveness and restitution, and to put things back in order. Card 17 - The Star. Technique: Wai Ola - The Water of Life. An ancient Hawaiian prayer calls for the Aumakua to bring forth the water of life and manifest "life, health, well-being, livelihood, etc." This is a spiritual blessing of great power, achieved by a combination of willingness to ask and openness to receive. 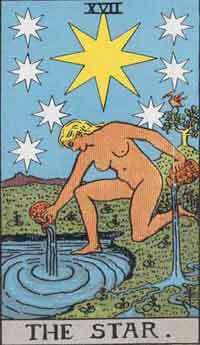 The eight-pointed stars in the card represent the source of spiritual power and the water represents the blessings for mind and body. Card 18 - The Moon. Technique: Huaka'i Po - The Inner Journey. The mental, physical and emotional aspects of the Haumana are ready to enter the three inner worlds of Kahiki, Milu and Lanikeha by passing from Ao, the outer realm, to Po, the inner realm. 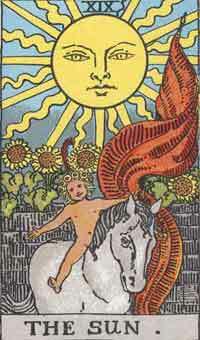 Card 19 - The Sun. Now the Haumana Kupua has mastered the ways to work with the seven elements of Fire (the sun), Water (in the bottom left corner), Wind (moving the flag), Stone (the wall), Plants (the flowers), Animals (the horse), and Humans (the child). Technique: La'a Kea - Sacred Light. The figures form the letters of the Latin word "LUX" meaning light with their body and hand gestures. The seven vibrations coming from the trumpet are the seven colors of the rainbow. The figures are also placing their awareness or concentration on the light and sound coming from the angelic figure, who is acknowledging the graduation of the Haumana Kupua into a full-fledged Kupua. The three figures representing Body, Mind and Spirit are breaking free of limitations, symbolized by the coffins being opened, and expanding their awareness. Card 21 - The World. Technique: Nalu - Peaceful Togetherness. This card has also been called "The Crown of the Magi," a reference to the attainment of the Adventurer as a Kahuna Kupua, or Master Shaman. Nalu is a type of passive meditation that enables one to merge with fields of knowledge and skill and to incorporate them into oneself. The four figures in the corners represent the Four Levels of Reality and the wreath represents the focus of Nalu that can reach into any one of them. The wands held by the Kupua symbolize her knowledge and power, and the swirling cape represents the 'ahu ula, the sacred cloak formerly worn by masters, high chiefs and kings in old Hawaii.